CHICAGO -- The Illinois Supreme Court will hear oral arguments in November on Chicago's year-old pension law. Orders entered Thursday set an expedited schedule with briefs due over the next three months. The overhaul approved by Illinois lawmakers sought to eliminate more than $9 billion in unfunded pension liability by cutting benefits and increasing contributions. It would affect about 61,000 city employees and retirees. A group of workers, retirees and labor unions sued, saying the law violated a clause of the Illinois constitution that says pension benefits can't be reduced. Last month a Cook County judge ruled the law was unconstitutional. 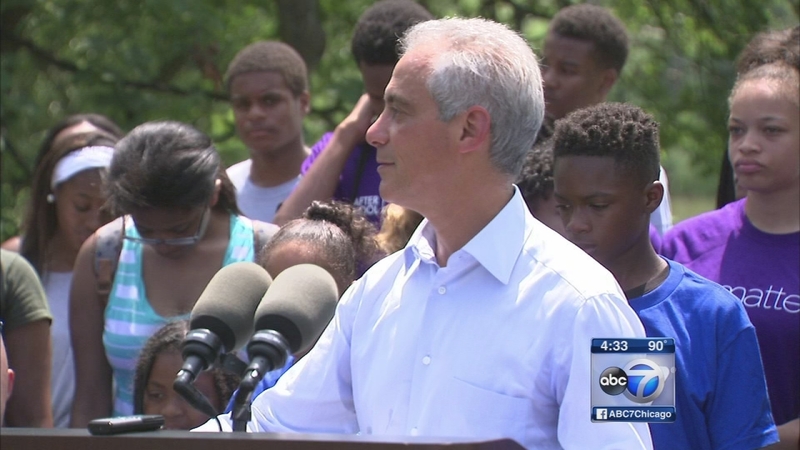 Mayor Rahm Emanuel has argued that without the overhaul, the funds will be insolvent within years. Chicago has the worst-funded pension systems of any major American city.